I’ve come across far too many articles in the recent past contemplating whether start-ups need PR at all. Questions like: Should start-ups spend on PR? Does your start-up really need help with PR? This is an attempt to share my understanding of PR in the start-up world. Yes, start-ups have it tough because they’re new but that doesn’t necessarily make them insecure because of their lack of visibility. Don’t judge a book by its cover. There are plenty of start-ups that have their priorities right. They focus on operations, following through their business blueprint, and are constantly moulding with their evolving business model. It is often portrayed that once a company gets funding, the upper management can’t handle the publicity and starts spending heaps on “PR”. PR is very different from advertising. Among other things, PR focuses on brand-building and reputation while advertising (whether online or offline) essentially highlights products/services to primarily increase sales. More often than not, start-ups that look for ‘quick fame’ end up confusing the two and get frustrated when, despite their investment, the PR company they’ve hired hasn’t been able to get them mentioned in a leading publication. Anyone who understands the world of corporate communications or has preliminary knowledge on media relations, understands that throwing money at the problem is not a solution when it comes to brand-building. Start-ups can, however, risk throwing money at advertising. Since we live in a time of multiple online and offline platforms – advertising, to an extent, is truly experimental. For example, there are several different ways you can advertise on Facebook. Companies can choose from ‘where’ and to ‘whom’ they can advertise to. The list of preferences goes on. While one combination may work for a product/service, the same is not guaranteed to work for another. Hence, experimental. While advertising is measurable, PR may not be. When talking about Return-On-Investment in advertising, there is a simple way to measure it. Having worked in a start-up for over two years, I understand strict marketing budgets. These concerns can lead start-ups to take charge of their own PR, which isn’t necessarily the best advice and can end up eventually harming the company’s image. Instead, start-ups should find the right PR consultant or agency to assist them in building their brand. Today, a majority of start-ups are offering products/services that can help make the consumer’s life easier. The right amount of PR and advertising will only help them leverage their brand in the industry. It’s no secret that thousands of startups from all industries have been mushrooming across the country, especially in the last two years. This month a research firm revealed that a staggering 40 percent of these startups have already shut operations. While lack of sufficient funding, core skills and shoddy marketing are few of the top reasons why startups fail, minimal light has been shed on the importance of Public Relations. PR is vital for the simple reason that it connects organizations with their audiences. Relationships are important. Relationships are important. PR teams are designated to identify the target audience and build a relationship with them – backed up by a strong marketing strategy. While large companies hire an elaborate team to build these relations, more often than not, startups tend to underestimate the significance of customer feedback. It may look like a small task but there is serious effort behind highlighting organic positive feedback. Customers – satisfied with the service/product or not – need to feel valued. When a startup successfully delivers to a customer, it’s something to cherish. And when it doesn’t, it compels the team to troubleshoot and fix issues. Giving customer relationships its due prominence, startups like Flipkart and Myntra provide customer care through prompt tweets. I recently stumbled upon an article that elaborated on how some successful people like Elon Musk and Oprah take out a certain amount of time to read. While how much one reads in a day varies, on an average these visionaries find 2-4 hours per day to update themselves on industry insights. I adopted a similar approach at my startup job and spent about an hour on Twitter every day to explore upcoming events, campaigns, running offers, and read up on elaborate startup stories. More time reading also gives us a chance to discover journalists who cover specific industries, in fact, over time, it makes sense to nurture such professional relationships by offering exclusivity of product updates and company announcements. This symbiotic relationship is worth the investment. These days, marketing teams of established businesses are constantly working to create content that is clickworthy, evokes an emotional response and is deserving of a share or like, which is exactly the kind of material startup PR teams should work on. Viral content is bound to drive more traffic to the website, customer loyalty and ultimately, increase sales. Take startups like Popxo that are making a mark by creating trendy, youthful and relatable articles focusing on young girls as their target audience. In another article, I talked about how more and more influencers from all over the globe are focusing on developing themselves as a brand. Personal Branding is key in helping a person stand out in a sea of people and emerge as an expert in a domain. Founders, investors and even employees can use their brand currency to voice their opinion on industry insights, connect with the audience on a more human level and ultimately, build a following for their company – leading to positive development of their company brand. Some marketing & PR strategies work for certain startups while others don’t – this depends on factors such as demographics and demand for service/product in that area. Startups usually lack patience and have a reputation to skip hiring a public relations team. After a couple of hit and trials, a startup should finalize on a PR plan to help create their product into a well-known, easily approachable brand. Rumor has it that the World Bank has now moved India to a new status – lower-middle income country. Having said that, the country’s GDP is at 7.6%, making us the fastest growing economy. Frankly speaking, looking at these two facts, I don’t know how to feel about our current situation. But what I do know is that in the two years I spent bumping into healthcare startups founders at events, meeting hospital management, and understanding real patient problems – the importance of digital healthcare is increasing – whether it be health-tech, home-care or wearables. Technology is making it possible for people to find smart solutions to their medical needs and better yet, stay healthy. Like the Director of Healthcare Vertical Strategy, Level 3 Communications, I agree ‘the healthcare industry needs startups, and startups need the healthcare industry’. In 2014 I joined a healthcare startup in its nascent stage. The company was only a few months old and we were just a handful at the time. 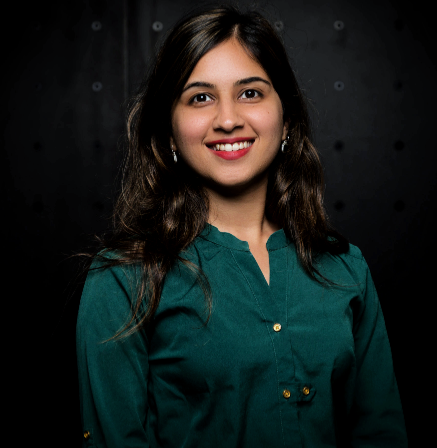 Unlike me, this startup knew exactly what it aimed to achieve – which sounds quite idealistic but it was and it is the true need of the hour – quality and quantity in options available to patients that enable them to make informed healthcare decisions. For those curious about working in a startup and what it feels like to be a part of this popular bubble – I got news for you. The long hours, deadlines and never-ending expectations from a startup employee are all true. We are, in fact, overworked, top management does keep a close check on our assignments, we are expected to be better at our job than we were yesterday. Is this bad? It IS a lot to deal with but I personally believe it has given me as much as I have put in. Would an ordinary job give me the opportunity and freedom to explore what I could do for the company? I doubt it. I reckon I was hired as a lead content developer because I had an up and running blog but more because I came across as someone with a can-do attitude in my job interview. After an email explaining how I’d like to change the company health blog, I joined the startup as someone who was responsible for the health content. In addition to the tasks given to me, I was always thinking “what more?”. I started following startup news simultaneously understanding the e-health scenario in the country. The more I read, the more I realized that healthcare was a tougher area to connect with the audience since it was only of interest to those in actual need of a medical treatment. Setting up a shopping platform and spending a bomb on marketing is far easier than to engage audiences in health trivia or what-to-ask-your-surgeon questions or even more difficult – introduce a super alien concept to India – Free Credible Help. I do not remember how many times I’ve had this conversation with people, whether the number was in triple digits or quadruple – I anticipated the same questions over and over again, I had all the answers ready to. Not even 12 months into my job I was promoted because my boss and I agreed that I had taken more on my plate and the additional initiatives were highly encouraged. I was determined to introduce healthcare to India like never before. The focus was for people to find us approachable, interesting and quick to respond. And for all this, we had to have a strong digital presence. Along the way, we worked in collaboration with giants like LifeCell, Artemis Hospital, Max Hospital for both online and offline events. This was a way to attract more eyeballs to our brand and really just introduce our concept. Working in a startup is similar to being pushed into the deep side of the pool when you don’t even know how to swim. From having no experience in social media, content development or digital healthcare I found myself meeting investors, discussing healthcare with important people who were actually making a difference in the startup world and who have been leaders in healthcare for decades! A great idea is nothing without a great mind bringing it to life. I saw this happen in real life. I have met many people who have these world-changing ideas but the same people find it hard to turn their ‘great’ idea into a reality. The vision that my (now) ex boss has for our company is exemplary and I hesitantly confess I wasn’t sure if all his ideas were, in fact, do-able. But I was wrong. Perhaps that is the definition of a leader – he finds it in his people a way to achieve the unattainable. Just a few days ago, we touched 1 lakh satisfied patients. One of my most memorable moments was being a part of his success at the Entrepreneur® 2015 event where he received the award for ‘Entrepreneur of the Year in Service Business – Healthcare’. During my last month at the company, I was working with my team to introduce Gurgaon to emergency ambulance services through a click-of-a-button on our app. I am proud to say that this was all over the news a couple of weeks ago. The journey is long and despite the fascinating scenic beauty at every turn, in the long run you realize that your company matters the most. After all, it’s not about the destination, it’s about the journey and company makes a huge part of it. People who are adjusting, open to new experiences and people make for easy companions. These are the people you grow close and the same friendships can last a lifetime. The trip feel more like an adventure than a vacation, it’s this exact nature that makes it comparable to startups. From minute travel details to daily itinerary, the journey is measured throughout. 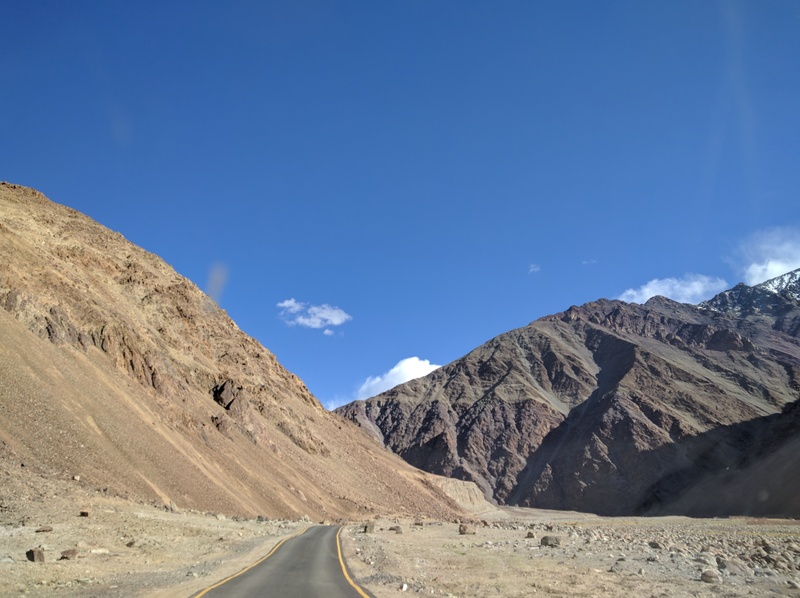 A trip to Ladakh or working in a startup are both situations outside your comfort zone. You know what else lies beyond your comfort – following your intuition and learning far more than you ever could in a safe area. Would love to hear about your experiences working in a startup in the comment section below.